Where Does Air Come From? Despite their reputation as destructive forces, volcanoes actually were critical to the development of life on Earth. 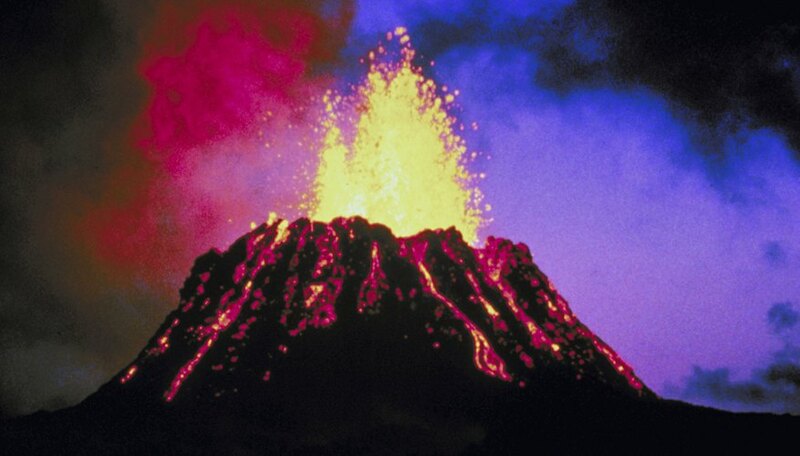 Without volcanoes, most of Earth's water would still be trapped in the crust and mantle. Early volcanic eruptions led to the Earth's second atmosphere, which led to Earth's modern atmosphere. Besides water and air, volcanoes are responsible for land, another necessity for many life forms. Volcanoes may be devastating in the moment, but ultimately Earth's life would not be the same, if it existed at all, without volcanoes. The accumulating material forming the Earth came together with varying degrees of violence. The friction of the colliding material combined with the heat from radioactive decay. The result was a spinning molten mass. As the spinning molten mass slowed and cooled, the bubbling cauldron developed a solid surface layer. The hot material underneath continued to boil and bubble up to the surface. The surface scum layer moved, sometimes accumulating into thicker layers and sometimes sinking back into the molten mass. Over time, however, the surface thickened into more permanent layers. The volcanic eruptions continued, but the first land had formed. As the Earth's mass accumulated, the less dense gases trapped in the Earth began to rise to the surface. Volcanic eruptions carried gases and water out from the Earth's interior. Using today's eruptions as a model, scientists believe the atmosphere generated by those volcanoes consisted of water vapor, carbon monoxide, carbon dioxide, hydrochloric acid, methane, ammonia, nitrogen and sulfur gases. Evidence for that early atmosphere includes extensive banded iron formations. These rock formations do not occur in oxygen-rich environments like Earth's present atmosphere. The increasingly thick atmosphere accumulated as the proto-Earth cooled. Eventually the atmosphere reached its maximum capacity to hold water and the rain started. The volcanoes kept erupting, the Earth kept cooling and the rain kept coming down. Eventually the water began to accumulate, forming the first ocean. That first ocean contained fresh water. Some of the oldest rocks on Earth, about 3.5 billion years old, contain fossils identified as bacterial. Slightly older rocks, about 3.8 billion years old, contain traces of organic compounds. In 1952, graduate student Stanley Miller set up an experiment to simulate the conditions in early Earth's oceans and atmosphere. Miller's sealed system contained water and inorganic compounds like those found in volcanic gases. He removed the oxygen and inserted electrodes to simulate the lightning that usually accompanies volcanic eruptions, due the atmospheric disruptions by the volcanic dust and gases. To simulate natural evaporation and condensation, Miller put his experimental brew through cycles of heating and cooling for a week, while passing electric sparks through the flask. After a week, Miller's sealed system contained amino acids, the building blocks of living materials. Follow-up experiments by Miller and others showed that shaking the flask to simulate wave action resulted in some of the amino acids becoming trapped together in small bubbles resembling the simplest bacteria. They also showed that the amino acids will stick to some naturally occurring minerals. Although scientists have not yet triggered life in a flask, the experiments show that the materials of simple life forms developed in the early oceans of Earth. Analysis of DNA from modern life forms, from bacteria to humans, shows that the earliest simple ancestors lived in hot water. While most modern life would suffocate in that early volcano-generated atmosphere, some life forms thrive in those conditions. Simple bacteria like those found at deep sea vents show that bacteria survive in harsh conditions. Fossils of cyanobacteria, a type of photosynthetic blue-green algae, developed and spread in the ancient ocean. The waste product of their respiration, oxygen, eventually poisoned their atmosphere. Their pollution changed the atmosphere enough to allow the development of oxygen-dependent life forms. The importance of volcanoes to life didn't end with the development of an oxygen-rich atmosphere. Igneous rocks form over 80 percent of the Earth's surface, both above and below the ocean's surface. Igneous rocks (rocks from fire) include volcanic (erupted) and plutonic (molten material that cooled before erupting) rocks. Volcanic eruptions continue to add land, whether by extending existing land, as in Hawaii, or by bringing new islands to the surface, as at Surtsey, an island that emerged in 1963 along the mid-ocean ridge near Iceland. Even the shape of the Earth's land masses relates back to volcanoes. Volcanoes occur along the Earth's spreading centers, where the erupting lava slowly pushes the upper Earth layers into different configurations. The destruction of the lithosphere (crust and upper mantle) at subduction zones also causes volcanoes when the melted, less dense magma rises back to the Earth's surface. These volcanoes cause the hazards associated with composite volcanoes like Mt. St. Helens and Vesuvius. The effects of the explosive eruptions from composite volcanoes range from the inconveniences of delayed and cancelled airplane flights due to thick ash to changes in weather patterns when volcanic dust reaches the stratosphere and blocks part of the sun's energy. Despite the negative impacts of volcanic activity, there are positives of volcanoes, too. Volcanic dust, ash and rocks decompose into soils with an exceptional ability to hold nutrients and water, making them very fertile. These rich volcanic soils, called andisols, form about 1 percent of the Earth's available surface. Volcanoes continue to heat their local environments. Hot springs support local wildlife habitats, and many communities use geothermal energy for heat and power. Mineral assemblages often develop due to fluids from igneous intrusions. From gemstones to gold and other metals, volcanoes are related to much of the mineral wealth of the Earth. The search for these minerals and other ores fueled many of the human explorations of Earth. US Geological Society: How Much of the Earth is Volcanic? US Geological Society: What are Some Benefits of Volcanic Eruptions? What Has Been Found on the Moon? G, Karen. "What Is the Importance of Volcanoes to Life on Earth?" 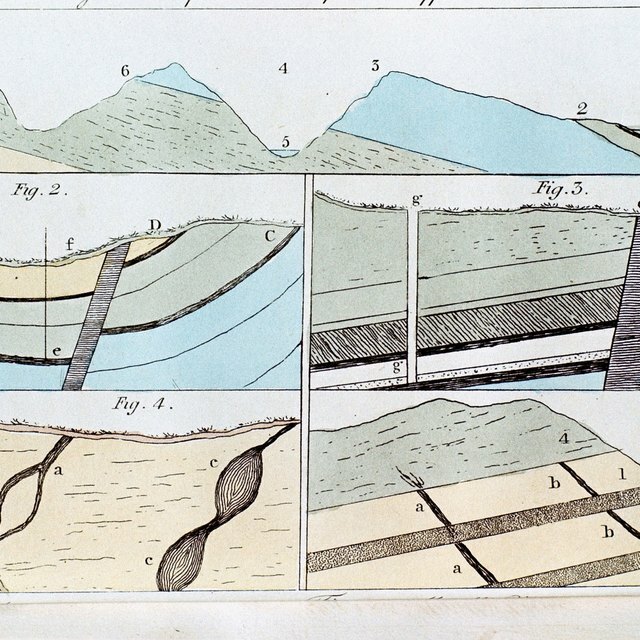 Sciencing, https://sciencing.com/importance-volcanoes-life-earth-10048990.html. 15 August 2018. Earth's First Atmosphere Contained What Gases?